delabs is centered around Electronics Engineering Technologies. The Focus is on Product Design, Instrumentation and Automation. Solderman's Basic Electronics can help learn practical electronics and has Instrument Photos, Production, Testing and Calibration Documents. 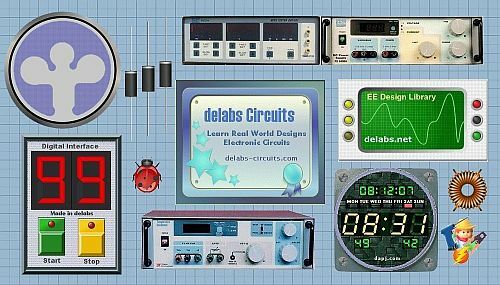 Schematics of delabs is a repository of Product and Circuit Designs. Schematic Diagrams contain the EE designs notes. Analog Circuits - OpAmps, Signal Conditioning, Mixed Signal Design. Digital Circuits - Logic Design, CMOS, TTL, Counters, Timers, 555. Power Electronics - SMPS, Regulated Power Supplies, SSR, Energy. Microcontroller - 8051, 8052, OpCodes, Analog and PC Interface. Test Measurement - Multi-Meters, Small Test Tools, AVO Meters. Custom Projects - Process Timers, Chargers, Analog Scanners. Hobby Projects - Insulation tester, LED Circuits and Meters. Theory Tutorials - Basic Electronics, Industrial Product Design. Electrical Diagrams - Control Panels, Reference EE Tables & Charts. Resources - Lists of Electronic Firms and Electronic Project Sites. Semiconductor Devices - Diode, Transistor, Chips, Thyristor. Digital Temperature Controller. 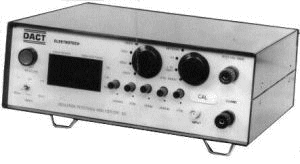 Thermocouple and Pt-100 Amplifier.